Blue Lotus Water Garden is located at Yarra Junction in Melbourne’s Yarra Valley. The property has been owned by the Cochrane family for over 50 years. It was originally developed as a market garden where the family grew many vegetables. 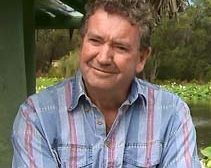 In mid 1990, Geoff Cochrane thought he’d diversify and further develop the property into a fly fishing resort which resulted in the construction of a new dam ‘Lotus Lake’ and a number of other smaller dams and ponds. A range of waterlilies and lotus flowers were planted to beautify the dams and give shelter for the fish. The conditions were perfect for the flowers to grow and as a result, Geoff decided to farm the waterlilies and lotus as a commercial crop to supplement his cabbage production rather than continue with the fly fishing concept. In the early 2000’s, Geoff started landscaping the lakes and ponds to provide a beautiful garden for the family. Then in 2004 he decided to develop a retail nursery specializing in water plants and open the garden to the public. The nursery and gardens officially opened in 2006.The garden has now grown to 14 acres featuring thousands of exotic and native flowering plants featuring waterlilies, lotus & other rare plants. It also features dozens of ponds and two lakes all connected by walking tracks and 15 ornate bridges.